<>Q: I started a home-based retail business six months ago. Using two credit cards, I bought P50,000 worth of initial merchandise (health and personal care products), and spent another P25,000 to put up my website. I have not turned in a profit, and my cards are already maxed out. I need to replenish my stocks. What can I do? A: Setting up a new business can be quite challenging. It takes careful planning of all aspects of the business—from developing the product and marketing and selling to managing finances. You need to come up with a business plan where you can prepare multiple scenarios about the business and its finances. What if the business does not turn out the way you expected? How are you going to pay your suppliers? When you have a business plan, you can manage your risk better by being more prepared. 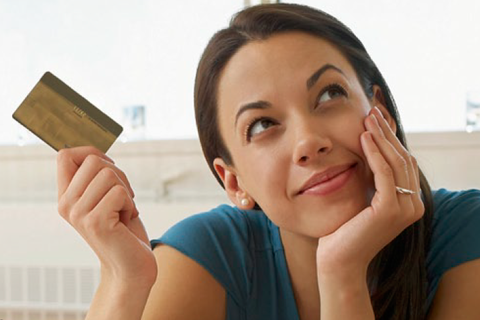 There is nothing wrong with using credit cards as a form of financing, as long as you can generate immediate cash flows to pay loans and cover the interest charges on time. If you are just starting, chances are it will take some time for you to make your first sale. Meanwhile, your interest charges pile up and slowly eat up your profits. You may end up losing not because your business is not feasible, but because of high interest charges. Giving credit to customers for goods sold using high interest financing such as credit cards is not advisable. If you really need to sell on credit, you must raise your price to cover potential losses from interest charges. But increasing your price too much may turn off customers too, in turn hitting your sales. After six months of operations, find out if the business is still feasible. Is there enough market for your products? Can you project the sales volume in the next six months? The next step is to review your pricing strategy. Are there opportunities for you to increase your prices without affecting demand from customers? Can you renegotiate with your supplier to lower your costs? 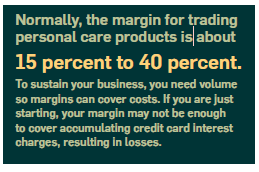 Look for ways to increase margins so you have enough room for emergency expenses. Come up with a historical income statement for the past six months so you can identify actual sales and expenses. From there, you can project your sales and expenses. It will be easier for you to identify which expenses should be cut and budget your profits accordingly. Your profits do not necessarily translate to cash flows because of receivables. Try to lower the gap between your cash flows and profits by giving less credit sales to customers. As you take steps to correct your financial situation, there seems to be no other choice but to raise cash to enable you to replenish inventory and keep the business moving. Use the financial projection of your business to invite potential investors. Or use your business plan to borrow lower interest loans from friends and relatives. You should review your business plan regularly to make sure you’re still in line with the budget. Target sales and expenses may not be achieved, but resulting variance against budget must be tolerable. What is important in this exercise is to be conscious of your finances using the business plan as a guide and be prepared for whatever scenario that may happen along the way. Henry C. Ong, CMA, RFP, is president and COO of Business Sense Inc. (www.businesssense.com.ph ), a financial advisory and consulting firm. He may be reached at hong@businesssense.com.ph . This story was originally published in the October 2012 issue of Entrepreneur magazine.